"What is the TBO (Time Between Overhaul) for that?" is a common question when talking about engines. TBO is considered the average life expectancy of an engine. Aircraft owners often derive expected maintenance costs and make selling or buying decisions from this number. 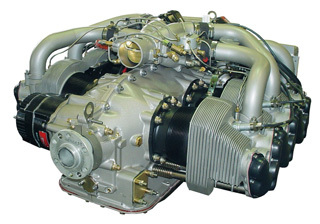 It is widely known that piston engine commercial operators regularly operate their engines beyond TBO. In fact, these operators frequently seek and receive TBO extensions from the FAA. Yet, it is common to hear horror stories about engines that require a top overhaul (when all cylinders are replaced with new) long before TBO is reached. Engine longevity is a popular topic discussed among pilots during "hangar talk". Most of the conversations focus on a single factor that influences an engine's life, but they ignore many others. There is a wealth of material available for review from Lycoming, Continental and many other professional sources that outline the factors. Both Lycoming and Continental are in agreement that an important part of a long engine life is flying frequently. Commercial operators, who fly frequently, are the best example of how consistent use extends the life of an engine. Rarely are these aircraft on the ramp for very long — sometimes just hours at a time. Aircraft that are not operated for days or weeks at a time can collect moisture causing a loss of effectiveness in the oil layer and rust forms. Corrosion in the engine is the leading cause of diminished engine life. The way the pilot operates the aircraft affects its engine longevity. Once again, at the standard for maximum life expectancy is set by commercial operators that operate their aircraft only by adhering to strict standards. A theory about proper engine operation that seems to draw much discussion revolves around cylinder head temperatures (CHTs) - the most noticeable engine performance indication available to the pilot. Most would tend to agree that regular operations with Cylinder Head Temps (CHT) in the yellow will lead to issues. So, at what temperature should you operate the CHTs? Some say keeping those CHTs in the "green" is the most desirable in caring for your engine. Others say, keep it below 400 degrees. And still others say the CHTs must be kept under 380 degrees. So of these, which is the right one? The answer is — cooler is better (but within the green arc). But how much better, considering all of the other factors that affect the engine life? These are all good questions and everyone has a theory. When engines are certified, much of the analysis and testing is done at the CHT red line. For example, endurance testing is done with hundreds of hours at the CHT red line and hundreds of hours at the CHT yellow line. So you should feel comfortable operating in the CHT normal "green" operating range. "Where in the normal CHT operating range?" is what leads to much discussion. If a certain cylinder temperature (within the normal operating range) is your primary concern, then much of the management can be done by the pilot. With Lean of Peak operations, the pilot has a lot of control; regardless of the engine they fly. If a CHT is a little warm, just lean the engine back an extra few tenths of a gallon (you might lose a few knots) until the proper CHT is obtained (such procedures can be found in a Cirrus Pilot Operating Handbook). On those especially hot days, the power of the engine can be brought back a fraction as well. These little refinements can make a big difference in achieving desirable CHT temperatures. Keeping up with scheduled maintenance intervals and checking on the engine's health is another important factor in engine longevity. Commercial operators, which usually operate under a phased inspection system, inspecting the engine on a regular basis. A symptom caught early is a lot easier to treat than later. Preventative actions such as oil analysis, oil consumption tracking, regular oil changes, compression checks, cylinder bore inspections, and baffle inspections can add many hours of engine life. Continental Motors has a program called TopCare® that describes such procedures. Monitoring systems are standard on all Cirrus aircraft and they have been a welcome advancement in information available to the pilot. Cirrus has not settled for showing only CHTs and EGTs for all cylinders. We have put logic into the avionics to warn pilots of abnormal conditions and dynamic indications that even show where to lean the mixture for various power settings in some models. Not only is this information given in real time, but it is also available after the flight. The flight can be re-lived by using sources such as CirrusReports to interpret the data. That little engine hesitation felt during mid flight can now be identified and inspected by the operator or mechanic. The increasing use of software and electronics makes for a future of numerous advancements to further the "ease of use" of the aircraft and aircraft ownership. Pilots can put much of their engine life worries aside with the industry leading engine warranty offered by Cirrus.